Exocystosis is the process of membrane transport that releases cellular contents outside of the cell. 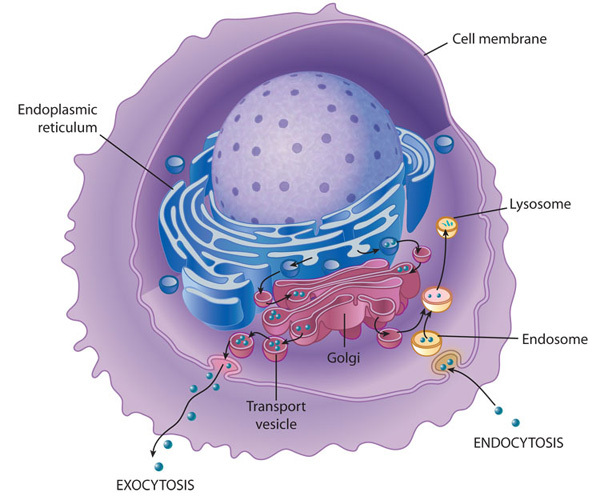 Transport vesicle from the Golgi moves to and merges its membrane with the plasma membrane and releases its contents. In this way, membranes are continually recycled and reused for different purposes throughout the cell. Membrane transport also occurs between the endoplasmic reticulum and the Golgi.